George Fenton's career is littered with awards, multiple Ivor Novellos, BAFTAs, Emmys, a Classical Brit and five Oscar nominations. With over 100 film and TV scores to his credit the breadth of his composing is simply breath-taking. Films include Gandhi, Cry Freedom, The Fisher King, Groundhog Day, Shadowlands and an array of timeless TV music such as Shoestring, Bergerac, The Jewel In The Crown and Newsnight. In the past two decades his work with the BBC Wildlife Unit has seen enduring scores for acclaimed hit worldwide series such as The Trials Of Life, The Blue Planet and Planet Earth which have been performed in concert by many of the world's leading orchestras. 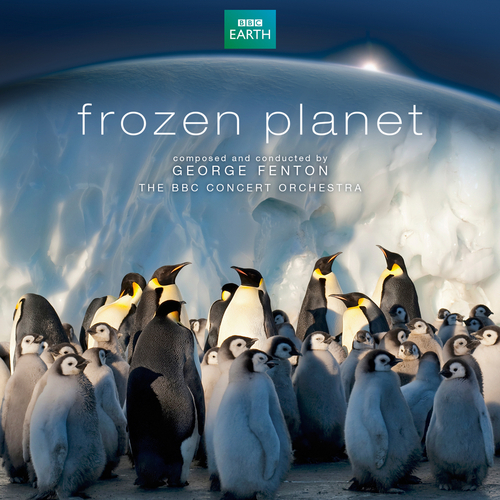 Frozen Planet originally shown in 2011 continues to underline his remarkable skills of matching the movement of the natural world to music.